Despite everyone’s best efforts, the teeth can quite easily become worn down, decayed, and even chipped as time goes by, giving a person a smile that looks and feels far from its best. Thankfully, the team at LakeView Family Dental has a number of solutions that can turn back the clock and make pretty much any dental issue seem like it never happened! Cavities, chips, cracks, and broken teeth can all be beautifully repaired, often in just one or two easy visits. If you’re ready to refresh and renew your smile, contact us today to schedule an appointment. Why Choose LakeView Family Dental for Restorative Dentistry? Traditionally, it would take at least two appointments to the dentist to have a tooth repaired with a dental crown, but in reality, most people barely have enough time to even schedule one! To help our patients get what they need in less time, we’ve invested in CEREC technology. Using CAD/CAM software, we’re now able to design, fabricate, and place a completely custom dental crown in just one quick appointment. You’ll be able to watch the entire process while you relax in the chair, and when you leave our dental office, you’ll have a fully renewed smile! A dental crown is a tooth-shaped restoration we can use to repair large cavities, replenish broken teeth and even fix cosmetically imperfect teeth. The reason it’s called a crown is that it literally sits on top of a damaged tooth, protecting the remaining structure while replenishing its original strength and appearance. They can be made from a variety of materials, however, at our practice, we prefer to use 100% porcelain crowns due to their natural appearance. 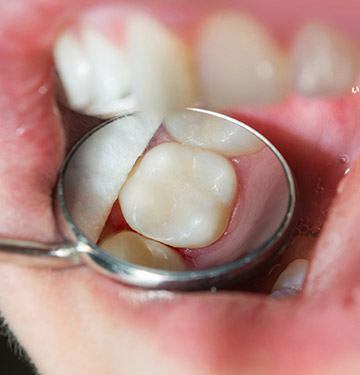 Older patients will certainly remember amalgam fillings-- those dark gray spots dentists once used to repair small cavities and slightly damaged teeth. Now, we’re able to use fillings made of a composite resin material that comes in a variety of natural shades, enabling us to create a restoration that blends in seamlessly into any smile. 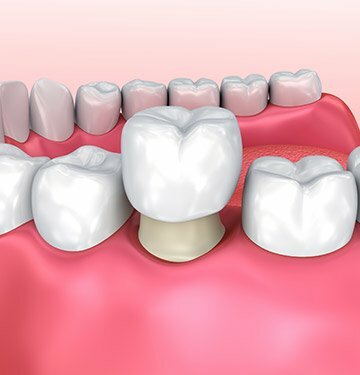 Better yet, this material lets us place smaller and more conservative fillings, helping us better preserve the strength and longevity of a tooth.